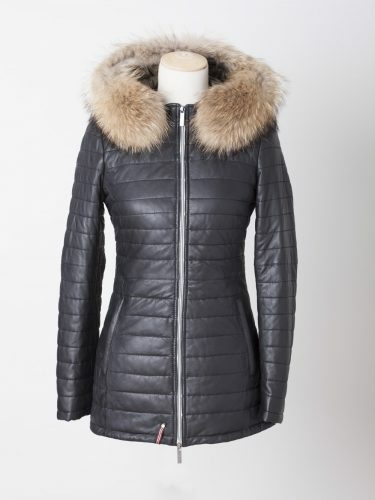 Women's Long Putty Leather Parka with Fur Trim, is a very contemporary spin on a very classic leather jacket and parka. 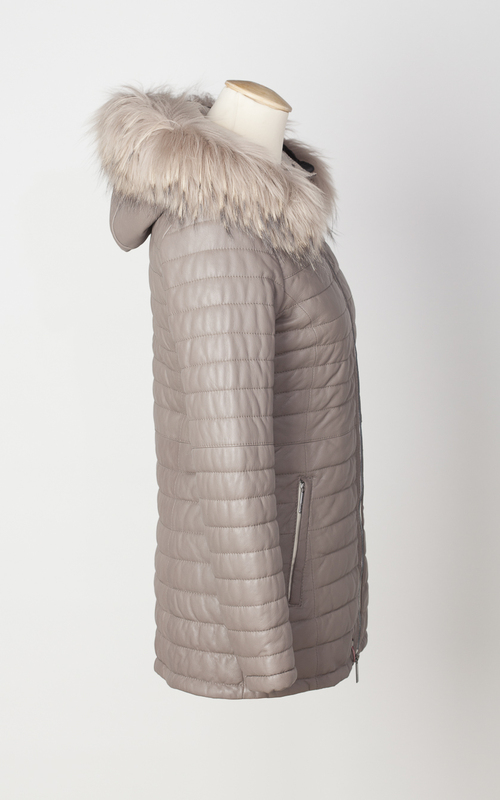 Women’s Long Putty Leather Parka with Fur Trim, is a very contemporary spin on a very classic leather jacket and parka. 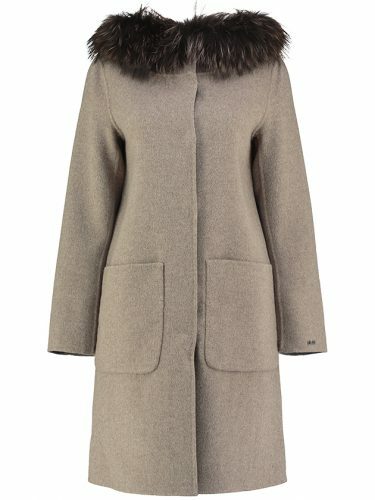 It is an absolute must have for the cooler season. 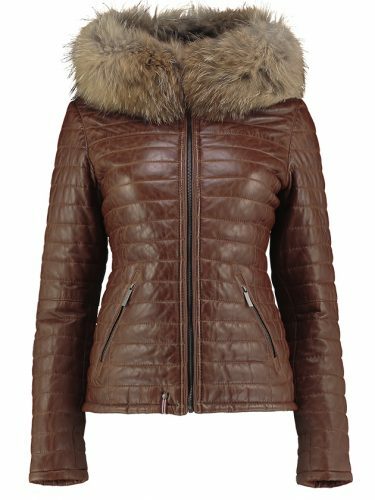 It is crafted from the finest quality leather, with a thinsulate layer to keep you looking absolutely fabulous whist wonderfully warm. 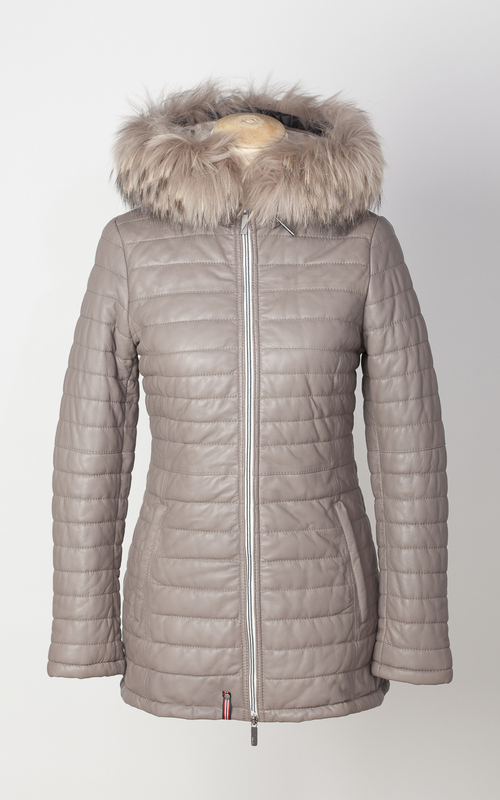 A beautifully neat fit, extremely flattering winter jacket. 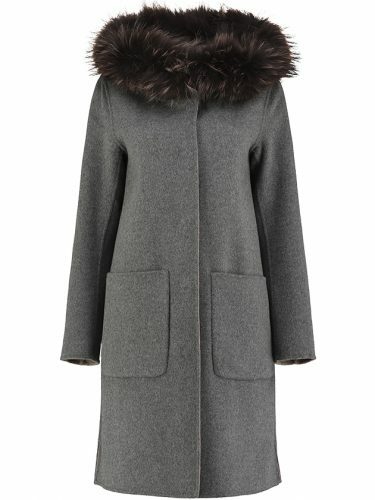 Gorgeous and luxurious fur trim on the hood is detachable, ensuring this parka can be worn for longer in the year but also again and again. 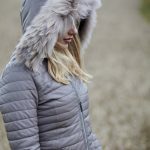 On this longer length parka, one can also detach the hood entirely, leaving a very sleek straight leather coat, which can be dressed up in a verity of looks. 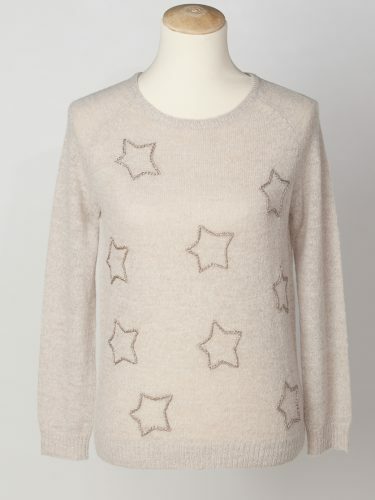 It is a truly great addition to any wardrobe. 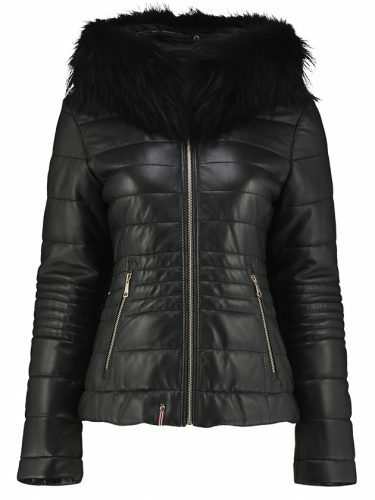 Women’s Long Putty Leather Parka with Fur Trim looks amazing worn with jeans or trousers and boots. 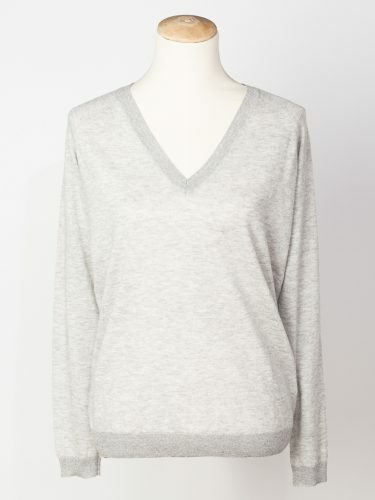 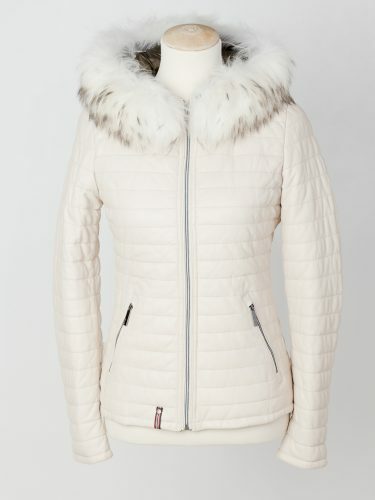 Fantastic for après ski and beyond, you will look the apart! 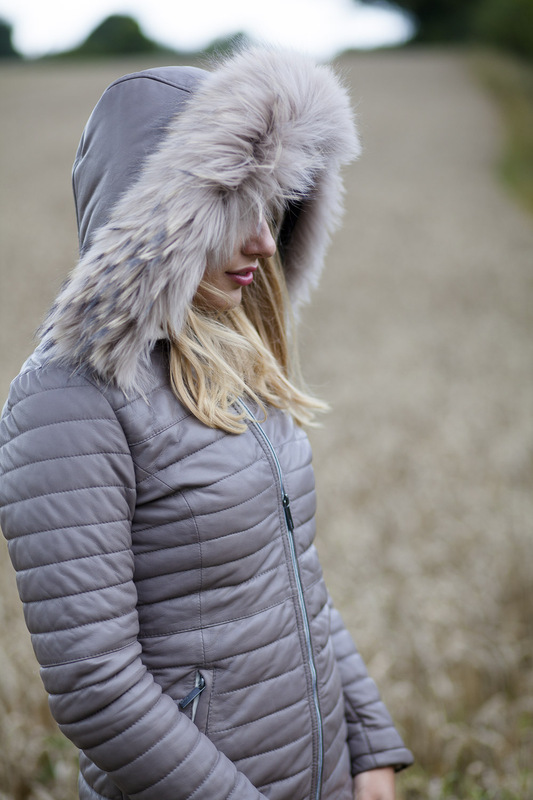 Front two way zip fastener, 2 front and 1 inside zipped pockets, plus 1 inside phone pocket. 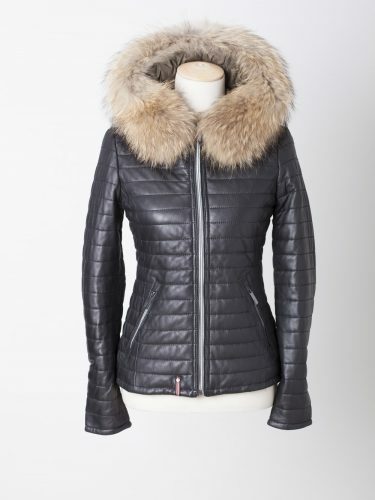 Detachable hood, which can be zipped off to leave a sleek and neat straight leather jacket. 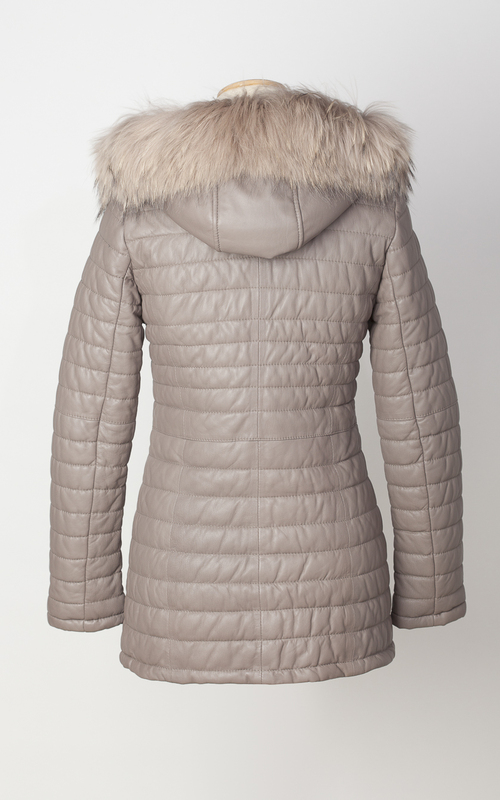 Detachable hood, which can be zipped off to leave a very sleek and neat straight leather jacket.